Officially opened in 1965 the ‘Grand Old Man of National Trails’ as it’s often referred to stretches around 270 miles across the spine of England between Edale in the Peak District and ends at Kirk Yetholm, all the way up in Scotland and just inside its border. 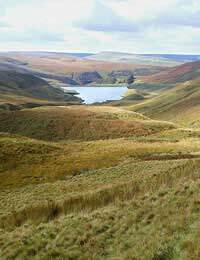 Assuming you are heading north from Edale, you’ll walk along the Southern Pennine ridge which was an area at the forefront of the Industrial Revolution and onwards through Haworth, the home of Bronte country. You’ll cross the limestone filled features of the beautiful Yorkshire Dales and then you’ll follow the famous Settle to Carlisle railway route. Along this stretch is a vast area which, in years gone by, was exploited by almost every kind of mining activity. Then, heading into Northumberland and across Hadrian’s Wall and on to the Cheviot Hills before finally landing at Kirk Yetholm, just over the Scottish border. The walk can be very demanding, especially if it’s done in one long stretch as accommodation and even water can sometimes be difficult to come by in some sections. Between May and September is usually the best time to go but the weather can be notoriously fickle, even in the height of the summer. You should allow yourself a minimum of two weeks to complete the walk in one go but many people choose to break it down into shorter, more manageable sections. People walk it in both directions, although it’s said that heading south is often the best bet as you get more of a wind behind you travelling in that direction. Kinder Scout at the beginning of the trail heading north is of great symbolic interest to walkers as it was here that, back in 1932, there was a mass trespass of ramblers who descended on it to protest at the lack of areas of accessible open space and public footpaths. Haworth provided the inspiration for much of the Bronte sisters’ books and it’s a pretty little village full of quaint tea shops and book shops. If you plan to stop for a few days in the Yorkshire Dales, the Settle to Carlisle railway journey is a ‘must do’. Its 75 mile journey will take you through some of the most spectacular countryside and it’s one of the UK’s most famous rail routes. Hadrian’s Wall was built by the Roman emperor, aptly called Hadrian, to repel raids from the tribes of Pictes (nowadays, we refer to them as Scots) from invading ‘Brittania’, which we call ‘England’ today. It was one of 3 walls built in Roman times for this purpose and spanned 80 miles. It has remained the most recognised and most talked about of the 3 great Roman walls as it’s the one which has best stood the test of time as it remains the best preserved. Parts of it are still very evident today. Because it crosses some of the most popular towns and cities in the North of England, there are many easy access points served by national rail and bus services. Depending on where you want to access the trail, however, you may need to additionally check out local bus services and even taxis for the last portion of your trip to your chosen access point.